IMMACULATE, 6-bed, 4.5 bath home with fantastic curb appeal! NEW tile roof in 2017! Located in the private, gated community of Hunter's Green, this home offers double door entry, gleaming wood floors, gourmet kitchen, POOL and SPA, travertine lanai with outdoor kitchen, & an over-sized 3 car garage. Space abounds in this fabulous home offering 4400 square feet with formal dining room & living room, combo eat in kitchen & family room with gas fireplace & surround sound. Your chef's kitchen features thick granite counters, large island, Wolf 6 burner duel fuel oven, built in refrigerator, NEW dishwasher, sliding window that overlooks the pool to allow for ease of entertaining, built in work station, & sliders to the pool lanai. A private master retreat features volume ceilings, walk in his & her closets, & en suite with LUXURIOUS walk in steam shower & double vanity. A large bonus room could also be a fantastic in law option with a wet bar & surround sound as well as two additional bedrooms separated by a Jack and Jill bathroom. An additional three bedrooms provide plenty of space for everyone. Invite the gang over to grill out in your outdoor kitchen & hang out by the pool on the spacious lanai. Back inside, find a laundry room with sink & storage. Other exterior features include basketball hoop, professionally installed landscape lighting, & sound system. 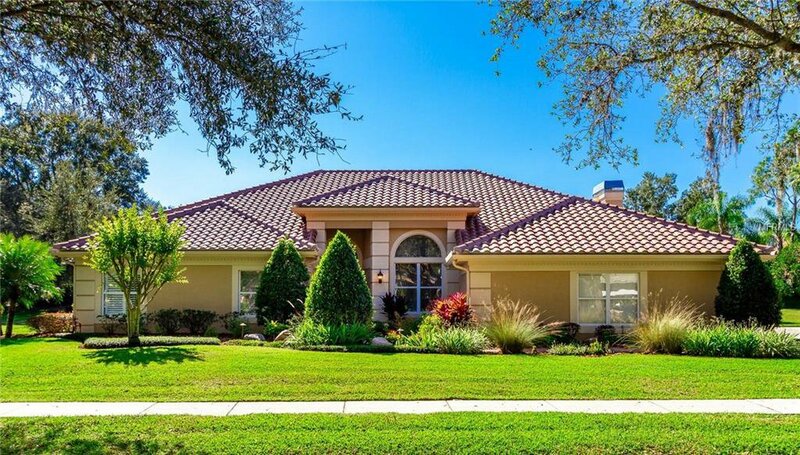 Magnolia Chase is one of most sought after addresses close to USF, VA, Moffitt, Hospitals, retail, restaurants, & Hunter's Green Golf & Country Club.